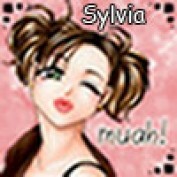 My name is Sylvia! I'm retired & doing what I love--working online, gardening, reading, watching movies, crochet, and knitting (newbie). South Texas is where I live with my hubby of 37 years and my beloved dogs, The Mongrel Horde. We have 2 daughters-grown, married & gone & 4 wonderful grandsons.